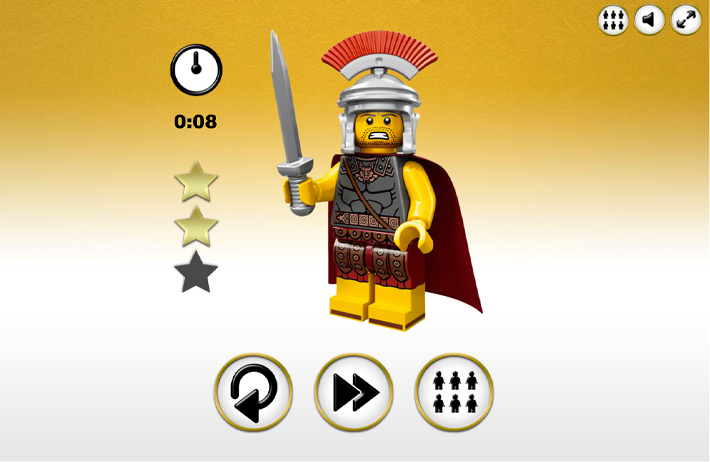 We were asked by LEGO to create a game to promote the release of the 10th series of Minifigures. 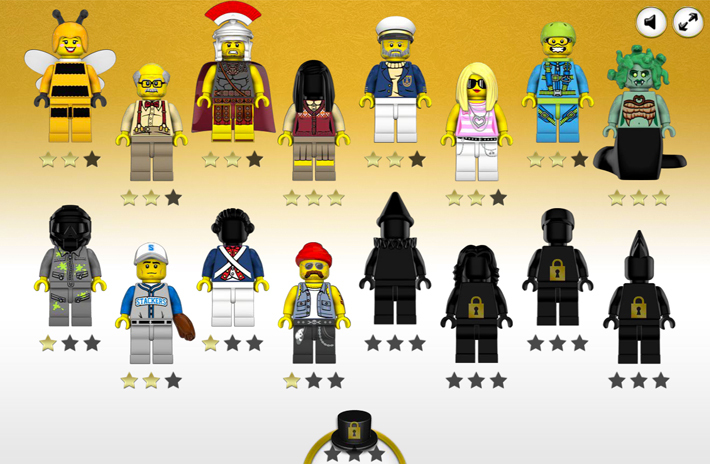 To celebrate this milestone, LEGO released a limited number of Mr Gold minifigures and encouraged fans to try to find one. 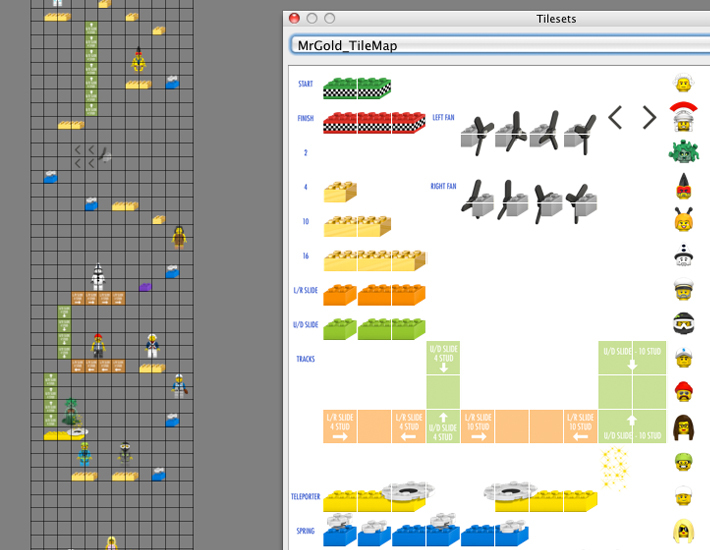 We decided early on that the aim of the game should be to find or catch Mr Gold and after considering a Where’s Wally style mechanic, we decided that a simple platformer would be the best way to showcase the minfigures. As Lead Designer I was in charge of the overall art style, the creation of the user interface as well as the design of each level. I also set up extensive user testing with a local school which enabled us to get feedback from the games target audience. 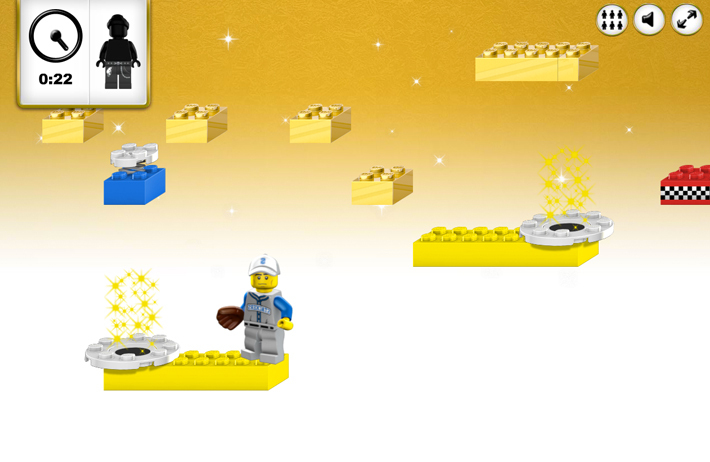 The Mr Gold game has gone on to become the most popular Minifigures game LEGO have ever had in terms of hits which is very cool indeed.